Another unicorn bites the dust: community in uproar after disastrous merger, Upwork expense cuts fail to turn around negative operating cash flow, more than doubles fees as equity value plummets ten percent per month in Q1 2016. 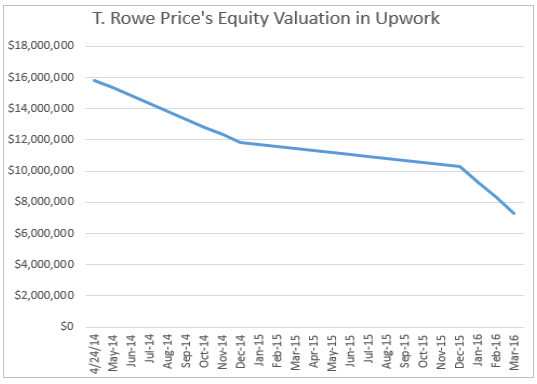 More bad news for the unicorns after Theranos, uBeam and Lending Club scandals with the latest T. Rowe Price quarterly slashing the value of equity in Upwork, a player in the online staffing platform space. The initial investment of $15.8 million in 2012–4 is now worth a mere $7.3 million, and is now in free fall as third CEO in two years more than doubles the fees charged by the troubled staffing platform. In March of 2014, Elance, Inc. and Odesk, Inc. merged to form Elance-Odesk in response to increasing competition and declining job volumes on Elance. 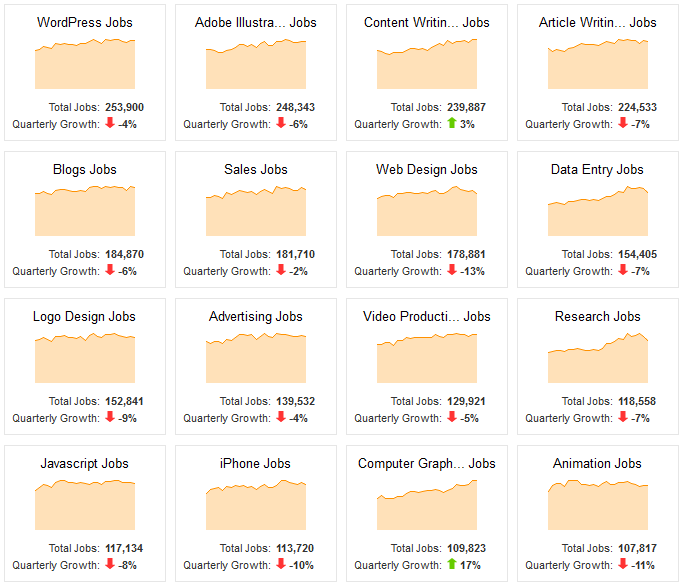 At the time of the merger into “Upwork”, according to website on March 20 2014, jobs trends report was a sea of red, with quarterly falls in 15 of the top 100 categories (see graphic at end of article), making the deal particularly difficult as T. Rowe Price was simultaneously marking down their 2012–14 equity interests in competitor Odesk, Inc. 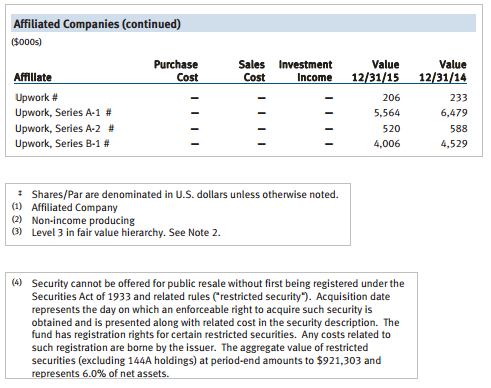 In August 2014, the combined loss making entity received a bail out, or in valleyspeak, raised $30 million, led by Benchmark, FirstMark, Sigma West, NEA, Stripes Group and T. Rowe Price. The merger was, by all means, a disaster. 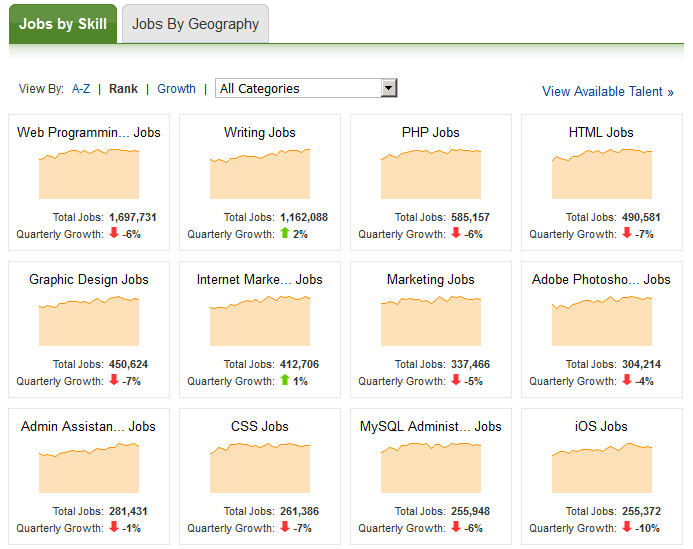 Pre-merger Elance had roughly 78,000 jobs listed, Odesk had approximately 48,000 showing without logging in. 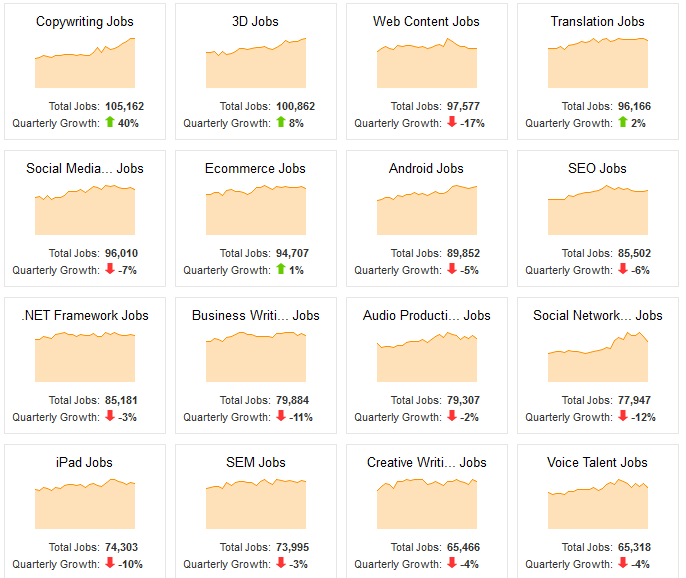 As of May 20 2016, the combined Upwork shows 85,579. 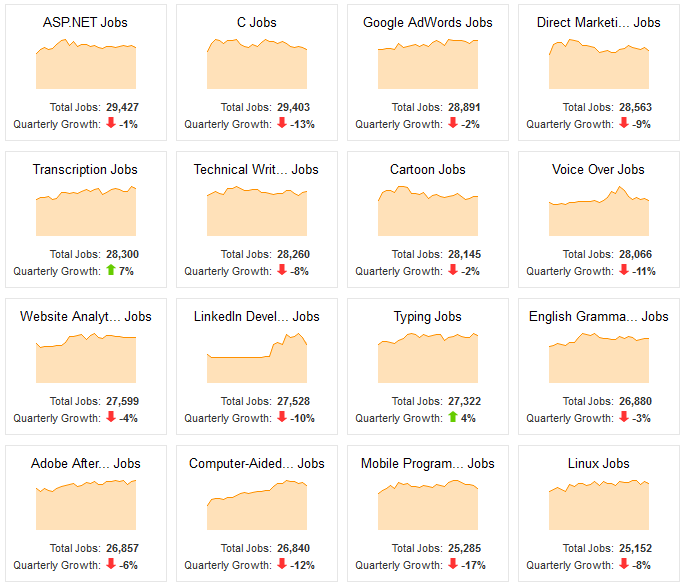 The Elance community, which had 2/3rds the volume and a “higher end” community were forced to move to the “lower end” Odesk platform which was relabeled “Upwork” by new CEO Kasriel resulting in approximately 1/3rd of the jobs being lost from the combined entity- almost the same number that Odesk originally started with. A merger so badly executed that effectively one of the communities did not survive the churn and make it to the new entity. 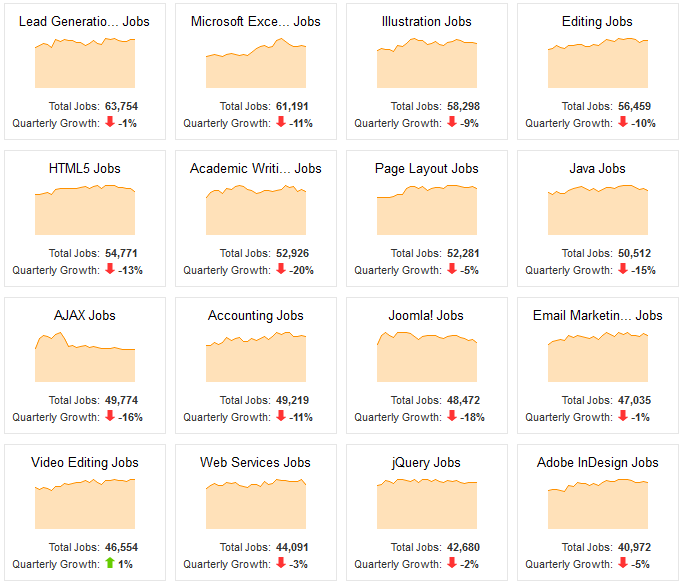 But even the 85,579 jobs showing isn’t what it seems. 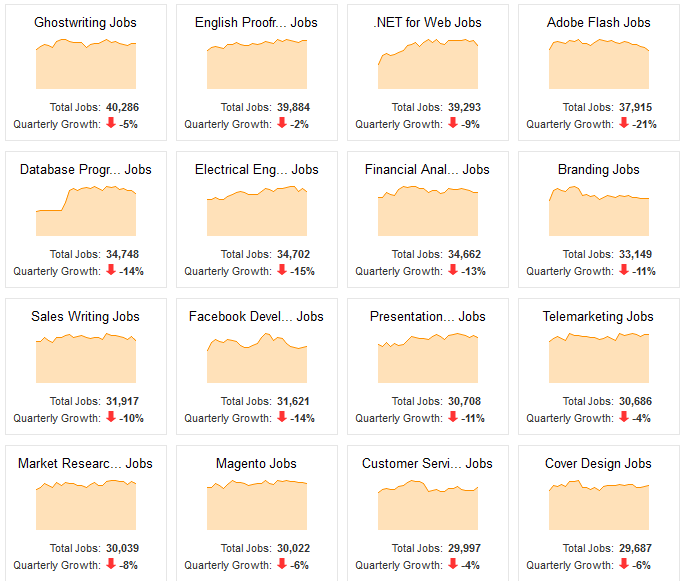 The large majority of those jobs displayed are expired listings posted weeks, months and even more than a year ago. Upwork hides this by not letting customers easily browse past 5,000 listings. “Historically, our pricing has been a flat service fee, and frankly, it hasn’t been ideal. If you think about it, for the short projects on our site, we incur a lot of costs, and as a result, in the traditional pricing, these projects were not profitable for us, and because they are not profitable, we haven’t been investing in growing the number of these projects”. As the merged entity continued to post losses, the executive team faced a bloodbath as both Elance CEO Fabio Rosetti and Odesk CEO Gary Swart left, along an extensive array of senior management including SVP Marketing Jaleh Bisharat, Sales VP Daniel Barrett, VP Enterprise Solutions Jonathan Diller, SVP Enterprise Daphne Li, Elance VP International Kjetil Olsen, SVP Categories & Geographies Rich Pearson, SVP & CFO Servaes Tholen, VP Labs & Cofounder Odysseas Tsatalos and Odesk VP International Matt Cooper. T. Rowe continued to slash the valuation of their stake, with the $15.8 million investment worth only $10,296,000 at the end of 2015. The Elance platform switched off completely in January 2016. Earlier this year, rumors swirled that musical chairs winner, former-VP Engineering-now-CEO Stephane Kasriel was doing anything he could to slash costs including firing the entire international team formerly led by VP International Kjetil Olsen (because VP International Matt Cooper also left). Upwork also kicked off low wage earning freelancers from undercutting jobs posted on the platform, including many freelancers from poorer countries including Bangladesh. This move, having failed to turn around operating cash flow has now led T. Rowe Price to mark down the valuation of their equity in Upwork by ten percent a month in the first quarter of 2016, with the value of their investment down to $7.3 million in the latest quarterly filing of the T. Rowe Price New Horizons Fund as at 3/31/2016. If equity continues to fall at this rate, it will be worthless by the end of 2016. As Rome burns, CEO Kasriel more than doubled pricing in a last ditch effort to stop the boat from sinking. 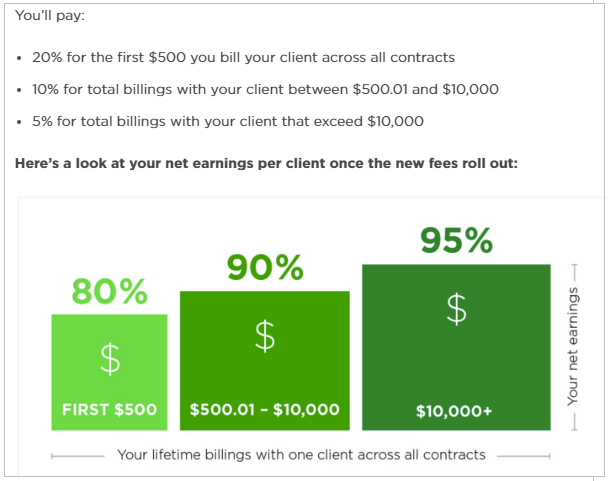 Misleadingly designed to simulate a system of income tax, Upwork now charges based on “lifetime billings” with individual clients. Misleading because the point of the so called “gig economy” is to go from client to client doing small items of work- not to work for a single employer long term. In addition, Kasriel has introduced a “2.75% processing fee per payment transaction to offset the high cost of servicing payments”. So for workers on their platform, a $500 project or less will now be taxed at 22.75% or $113.75, making the platform one of the highest income tax rates for low wage earning workers in the world?—?and that’s before the workers have to file their actual income tax returns. 84% people are very unhappy with this new pricing policy. 79% people are looking to leave this platform in 6 months and out of which 51% are planning to leave it in 2 months. 92% people are planning to take the client?—?freelance relationship outside of UpWork ASAP. At the same time as hiking pricing, Kasriel placed an interview in the Harvard Business Review, where he compared himself to Bill Gates, Larry Page and Mark Zuckerberg. 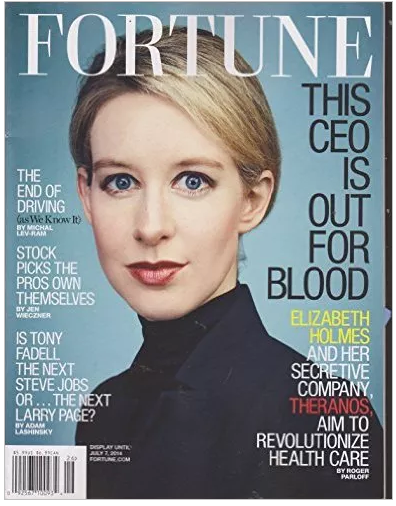 All Kasriel needed was a turtleneck to complete the eerie comparison with Theranos Founder Elizabeth Holmes. With the loss making company unable to IPO and financing drying up in the valley, it is expected that this is about to get very ugly for Upwork. 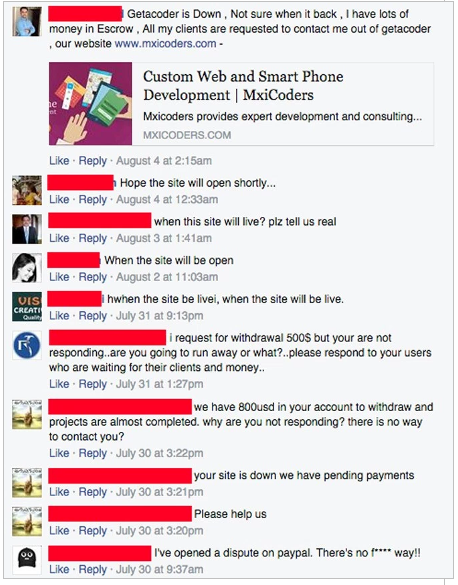 Let’s hope that the users do better than they did at getacoder.com, where it has been reported that millions of dollars is unaccounted for after the website mysteriously went down.